I work from home (OK, a coffee shop) once a month. We have an open office, which is fun and great for brainstorming and collaborating, but it can be distracting at times. Luckily, our office has a policy that let’s us work remotely once a month. I find that I’m more productive when I work from home or from a coffee shop where I have continuous access to copious amounts of coffee. I’m still able to video conference into meetings, answer emails, and stay in constant contact through chat. Technology is rapidly evolving how we work. There are countless ways to use technology to be in constant contact with colleagues even if we aren’t physically in the same space. And, fortunately, companies are becoming more accepting of flexible work arrangements. Here’s what you need to know (and ask for) to make work work for you. Do you work better early in the morning right after you’ve had your first cup of coffee? Do you have to be home by a certain time to pick up your kids from school? An alternative work schedule might be right for you. You will still work 35 or 40 hours a week, but you’ll be able to set your hours (or even days) so that they work for your schedule. Telecommuting is on the rise, and you could be a virtual employee. No, you wouldn’t have to become a robot, but it does sounds like something straight from The Jetsons, doesn’t it? Do you have your dream job but now you have to relocate? Did you find your perfect job and the only problem is that you can’t move to Cupertino? Working remotely might be right for you. Before pitching your boss (or future boss) about working remotely, think about whether you’ll prosper in that situation. Don’t let the thought of watching Netflix in the middle of the working day win you over. Make sure that you have the focus, self-discipline, communication skills, and self-restraint to get the job done. What if every single weekend could be a long weekend? It could be with a compressed work schedule. Don’t book your beach vacations just yet—there’s a catch. You’ll need to work extra hours throughout the week to account for the hours where you’re lounging with a Piña Colada and a stack of magazines. But, if you’re able to work nine to ten hours four days a week, this might work for you. 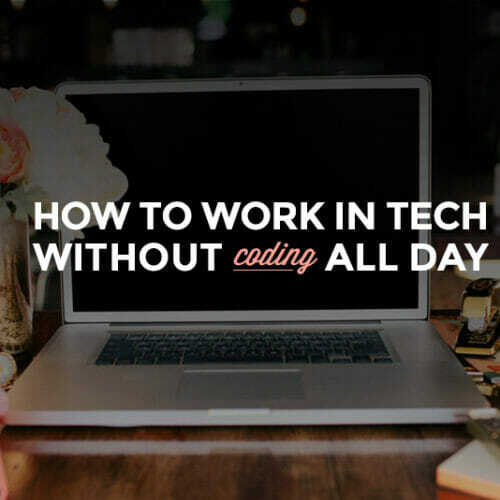 Some companies allow compressed work schedules only during summer, but this Web Design or Frontend Teacher position at the Portland- and Orlando-based company offers full-time, 4-day weeks year round. Do you have a long and expensive commute? Do you have kids or aging family members to take care of at home? Ask for a set number of days to work from home. A common misconception is that people don’t get work done when they’re working from home. Ask for a few test days to show that you can be productive from anywhere. At the Sydney-based but largely remote company, Wildbit, you can get hired as a Product Designer and Front-end Developer with a full-time, flexible schedule that works with your life. 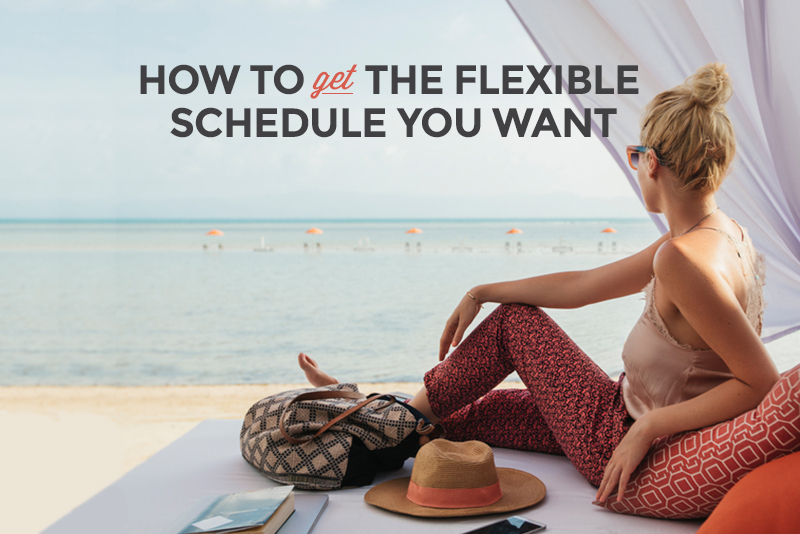 Still dreaming of working at the beach, but you can’t make the compressed schedule work? Ask for a workcation. A workcation is exactly what it sounds like: The ability to work while on vacation. You’ll have to put in hours, take conference calls, and send emails, but you can do it at a vacation destination. Think of trading in your cubicle for a cruise ship. The drawback is that you’ll have to work and can’t be fully present on your vacation; but the benefit is that you’re able to travel. Stop staring wistfully at beach screensavers and ask your boss if you can plan a workcation. Job listings rarely mention the opportunity to take workcations, but it’s always something you can (tactfully!) bring up later in the hiring process, or even once you have a track record for doing great work in a timely manner and without a lot of management. As the job market grows and transforms, flexible work is becoming more common across many industries. The greatest opportunity for this kind of work, however, is in tech, where many major companies have entirely remote, flexible teams. 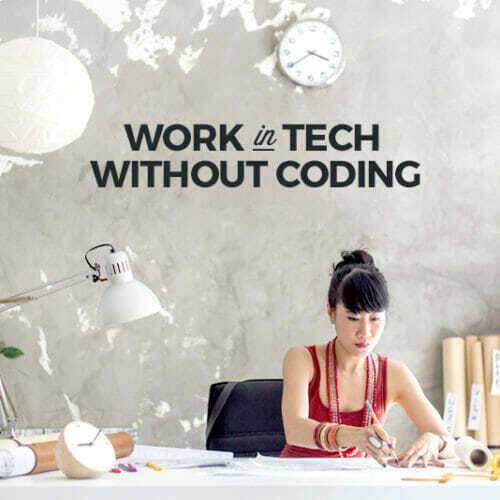 Technology means that there is no such thing as a nine to five. We are constantly connected to the office and expected to be answering at all hours. Make this interconnectedness work for you with these flexible work arrangements. And if you’re stumped about exactly how to go about getting one of these flexible jobs, check out the tips in our Ultimate Guide to Landing a Remote Job below. 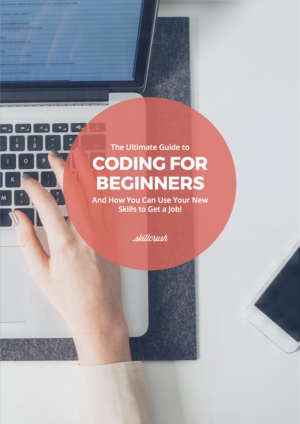 You’ll find out how to take the skills you already have and translate them to a flexible or remote work situation.